HENRY DARROW MCCOMAS IS A DAMN GOOD WRITER, DIRECTOR, EDITOR, CINEMATOGRAPHER AND PRODUCER WHO FOCUSES ON FEATURES, DOCUMENTARIES AND SCRIPTED SERIES. HE'S BASED IN LOS ANGELES BUT STILL CLAIMS ALASKA AND ROOTS FOR THE GREEN BAY PACKERS BECAUSE GRIZZLIES DON'T PLAY BALL. André Gower and Henry Darrow McComas attend the LA premiere of their film ‘Wolfman’s Got Nards: A Documentary’ at the Egyptian Theater. HENRY DARROW MCCOMAS IS A DAMN GOOD WRITER, DIRECTOR, EDITOR, CINEMATOGRAPHER AND PRODUCER WHO FOCUSES ON FEATURES, DOCUMENTARIES AND SCRIPTED SERIES. HE'S BASED IN LOS ANGELES - BUT STILL CLAIMS ALASKA - AND ROOTS FOR THE GREEN BAY PACKERS BECAUSE GRIZZLIES DON'T PLAY BALL. Henry Darrow McComas was raised in Anchorage, Alaska, a majestic place largely known for its natural beauty, dangerous terrain and unforgiving weather. Because of its inaccessibility and cost, most crews conduct their film and television productions in Vancouver, Canada and pretend it is Alaska. McComas is an award-winning writer, director, and producer with a passion for discovering the beauty in the overlooked. This theme is a rich part of Wolfman’s Got Nards. An award-winning documentary about the beloved cult film ‘The Monster Squad’ and its dedicated audience. Wolfman’s Got Nards has been to 17 film festivals and continues to gain critical acclaim and accolades. 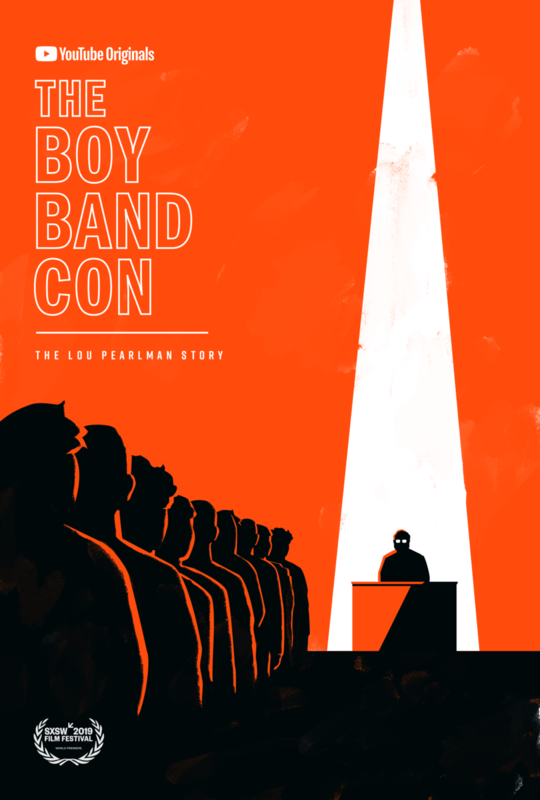 The theme also rings true in The Boy Band Con: the Lou Pearlman Story, a YouTube Premium documentary that dives deep into the duality of NSync producer/conman Lou Pearlman. The Boy Band Con premiered at SXSW. McComas played a crucial role in developing, producing, shooting and distributing both films. McComas's award-winning film production company, Crooked Lake Productions was named after the lake he grew up at during his mid-west summer vacations. (Go Pack Go!) The brand reminds him to always play make-believe while working because creativity is best served when you’re having fun. His work includes writing, producing, shooting and editing features, writing and directing scripted series for digital platforms and television and writing and directing numerous award winning short films. Among the many happy clients, partners and employers McComas has worked with are: Lionsgate, Pilgrim Media Group, Disney, Nerdist, Alpha, Comic Con HQ, The Pokémon Company International, National Geographic, and Arrow Films. McComas currently writes and directs in sunny Los Angeles California where there is much less snow than Alaska or Wisconsin and way more production. He is the closest thing you can get to a Polar Bear with a sunburn. He is currently developing several films and series for various platforms.